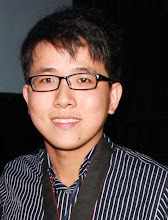 Kuala Lumpur, 13th February 2014 – Organized by 南宁电视台与湖南卫视金鹰传媒,《春天的旋律》2014跨国春节晚was recorded on 22nd and 23rd January 2014. The program has invited performers from a few other countries including Malaysia, Thailand, Hong Kong, Macau and etc. The representatives from Malaysia were Athana马嘉轩 & Kit张起政. Apart from having the chance to perform in that show, they also have the opportunity to perform alongside with a very talented China artiste【模王盛典-挑战冠军王】夏瑶in singing the theme song for 《春天的旋律》2014. 马嘉轩and后弦were arranged to sing together the song of《我们是朋友》. This song has represented the friendship between Malaysian and China singers. 马嘉轩has been praised by the organizers when she performed 《相信着》which was full of positive messages. Kit张起政 performance with夏瑶in singing Malaysia CNY song《福气》 has also received positive remarks. Besides, Kit has also sang《说爱了》during the show. Besides Athena and Kit, other prominent singers who have also taken part in the show include 泳儿 from Hong Kong. 2014年跨国春晚has been divided into 4 chapters (乐、悦、跃、越). This show consisted of 35 segments of programs which have gathered singers from 7 different countries. Besides of singing and dancing performances, the show has also recorded the scenes of CNY celebrations from different countries. 《春天的旋律·2014年跨国春节晚会》 will be a 3 and a half hours show. It will be shown in Astro 304家娱频道on 14th February 2014.